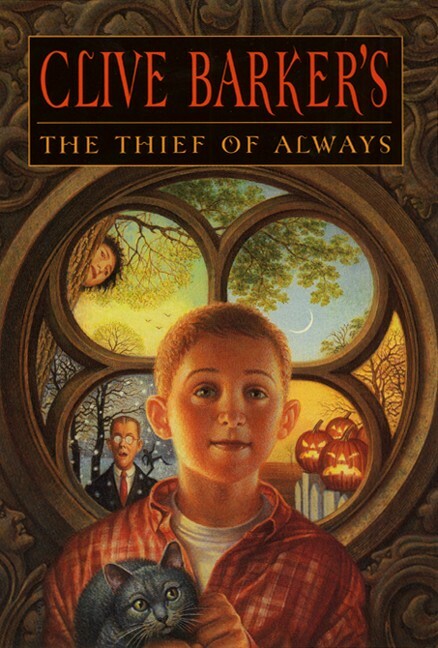 Thief of Always was the first book I read that was written by Clive Barker, so it holds a special place in my heart (and personal library). It is an enchanting story of a regular ten-year-old boy, bored from school and a dull home life, being swept away to a magical place called the Holiday House where he can have fun all day long. Harvey loves this new place and enjoys the special treatment. Mrs. Griffin, the House’s care taker, explains that this is a get-away for unique children like him. There are only two other kids there with him, Lulu and Wendell. Wendell is near Harvey’s age and gives him a big tour of the House and explains that every day is full of holidays. Every morning is spring (which usually consists of playing in the tree fort), followed by afternoon summertime (full of naps and exploring), fall in the evening (Halloween and trick-or-treating), and lastly Christmas (with any toys you desire magically appearing under the tree). Other than Mrs. Griffin, there are other strange adults there who don’t seem to be normal humans. But Harvey is willing to look past this oddity since the Holiday House is so wonderful. Harvey would like to spend the rest of forever here, until things start becoming weird. Lulu, though never particularly friendly, starts acting oddly secretive. And when Mrs. Griffin and the other adults refuse to answer his questions, he becomes suspicious. Then any attempts to leave the House are thwarted by mysterious powers. Now all Harvey wants is his dull life back, but he might not survive another attempt at escaping the Holiday House. I always imagined Mrs. Griffin being the perfect grandmother prototype with her elderly age and love of cooking pies. 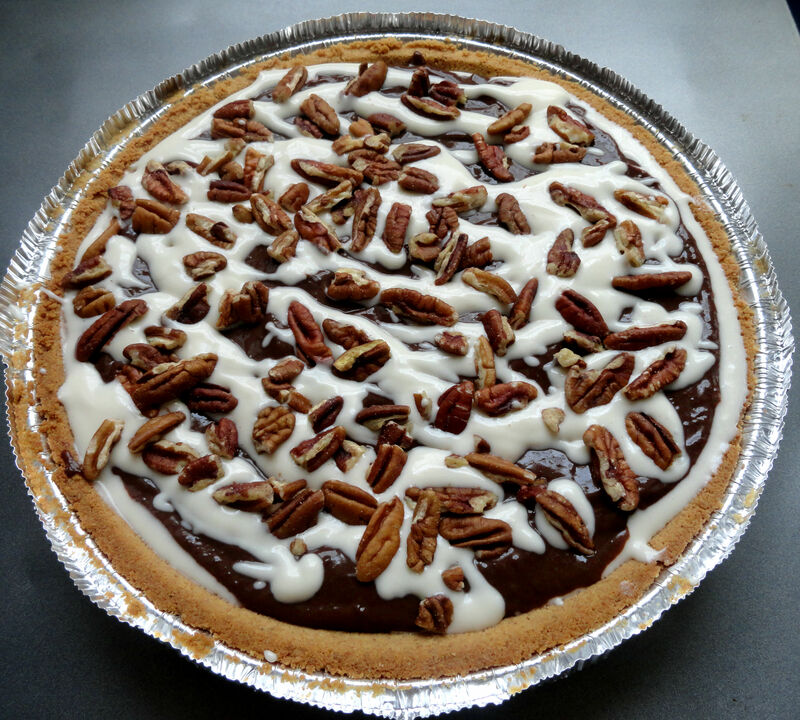 I didn’t want to choose a more ordinary pie (like the aforementioned apple or cherry), so the recipe below is for a rich and creamy mud pie! Set oven to 375 degrees. Bake the graham cracker crust for 3-5 minutes, just enough to let it brown and bake together (especially for looser homemade recipes). After baking, set the crust aside to cool. In a large bowl, whisk together the marshmallow topping, cream cheese, soymilk, vanilla extract, and powdered sugar. Next layer the pudding and cream cheese mixture into the pie crust. Put down a layer of pudding, then cream cheese mix, rest of the pudding, then drizzle the last of the cream cheese on top. Sprinkle with pecans and place in the fridge for at least 1 hour. Then slice and serve! It’s quite messy, but very delicious.